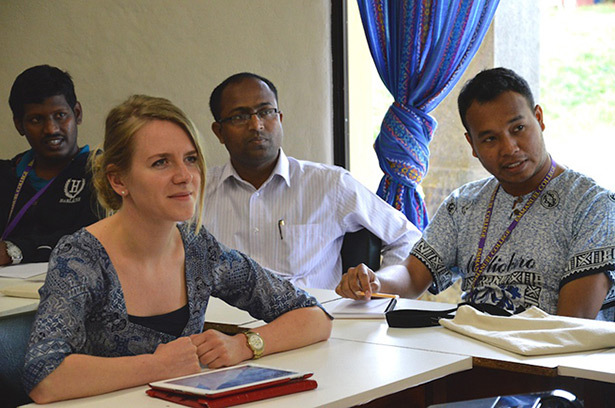 The Global Institute of Theology (GIT) is an intensive short-term academic programme designed to give theological students and faculty from all over the world an opportunity to learn, teach, and do theology in an inter-contextual and ecumenical way, situating the theological task in local, regional and world contexts. The latest GIT was held in Wuppertal and Leipzig, Germany, from 9 June to 7 July 2017, living together and learning as a global community in the context of the 2017 General Council of the World Communion of Reformed Churches. 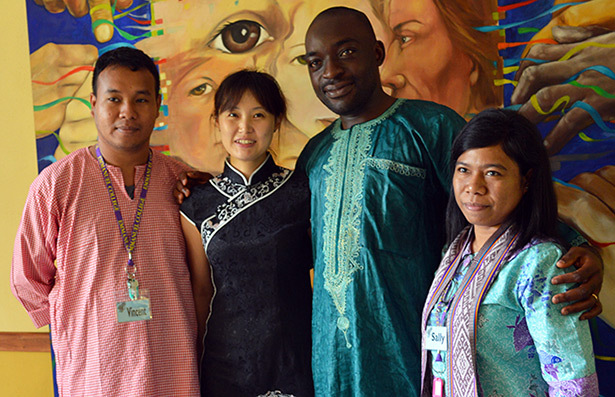 The Global Institute of Theology 2017 (GIT 2017), a programme of the World Communion of Reformed Churches (WCRC), offered a unique opportunity for a community of students from around the world to live together and learn and do theology in a fully inter-contextual and ecumenical way, connecting theology from the local to the regional and world levels. The GIT 2017 had two phases. 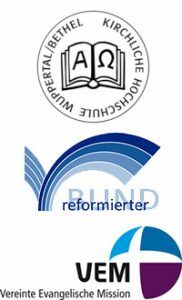 The first phase (9-27 June) was held in Wuppertal, Germany, in cooperation with the Theological College for Church and Diaconie (Kirchliche Hochschule Wuppertal/Bethel), the United Evangelical Mission (Vereinte Evangelische Mission (UEM)) and the Reformed Alliance (Reformierter Bund). The second phase was in Leipzig (28 June-7 July) where the students had the opportunity to participate in a significant way in the 2017 General Council of the WCRC. The theme of the GIT 2017 was the same as that of the General Council, Living God, renew and transform us. The purpose of the Global Institute of Theology was to give theological students and faculty from all over the world the opportunity to delve deeper into the theological wealth of the theme and to explore its significance to the church in its mission in the world. The first phase of the GIT 2017 took place in Wuppertal, Germany. They were near the small town called Barmen which is significant in church history. 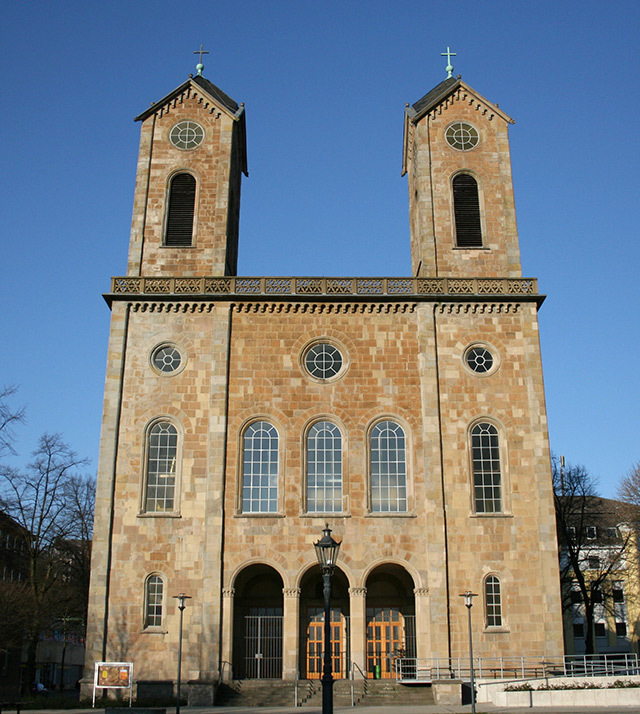 Here in 1934, in spite of the looming threat of the Nazi take-over of the German Church, Christians from all over Germany came together and made a courageous confession that only Christ is the Lord of the Church. This Barmen Confession became a symbol of the assertion that transformation comes only through the Word of the Living God. Therefore along with the General Council theme the GIT also reflected on confessions and confessing churches. The students and faculty of the Global Institute of Theology moved to Leipzig on 28 June to join the some 1,000 participants at the General Council that included nearly 400 official delegates from more than 150 member churches in over 100 countries. Being held in the context of the General Council gave the students an opportunity to encounter the global church and to participate with Christians from all continents in studying the Bible and worshipping together. These goals were reflected in the way in which the institute was organized. 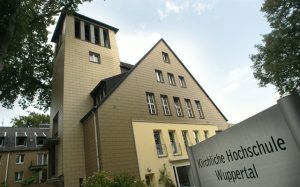 The first phase in Wuppertal was composed of core courses related to the theme of the General Council. The second part of the GIT took place in the context of the Council providing an opportunity for the students to learn through encounters with church leaders, eminent scholars, theologians and activists who were present at the General Council. There were four core courses which all students were required to attend, and all students were required to complete a paper (minimum 3000 words) on one of the core courses. Students who require credits received them from the Kirchliche Hochschule, Wuppertal/Bethal. This core course explored a theological paradigm of the creation community that compels us to view all forms of life as sacred. It posed the questions: What does it mean to confess the living God within the context of the creation community? How can embracing the sacredness of all members of creation community renew and transform us, to confront all that desacralizes life? Rooted in the historic Reformed faith traditions the Christian faith calls on us to respond to meet spiritual needs and foster justice for the transformation of the world through the life of Jesus Christ. This includes a new understanding of mission as rising from the aspirations of peoples at the margins. This course explored how we can re-imagine mission and evangelism today. This course looked at the theology of Revelation in terms of its historical development and the specific contributions of John Calvin, Karl Barth and Jürgen Moltmann. While it is generally imagined that God’s revelation comes to us in locations that we believe to be special and sacred this course showed how the revelation of the God of the Bible continually comes to us in sites we deem to be polluting and transgressing. By doing this this course demonstrated how revelation actually disrupts, disturbs and dismantles exploitative social relations. It further looked at the justice work of the Reformed churches as being transformative revelations in the world today. This course explored Confessions that are at the core of church history and are significant markers of the church’s witness in the world. With commitment to a Reformation that continuously reforms, the churches have through their confessions over the centuries reaffirmed their faith in the sovereignty of God and their resolve to stand against evil and demonic rulers, systems and life-threatening processes at different times. Confessing is primarily an affirmation of the gospel truth and a language of resistance against untruth. Confessing is a denunciation of earthly unjust power based on a firm belief in a God who promises life in the new heaven and the new earth. Confessions are a celebration of the feast of life in kairotic times—the right and opportune moment to turn to the God of Life. The WCRC is committed to the inter-contextual formation of new generations of Reformed leaders fully aware of the faith dimension of contemporary challenges such as economic injustice and environmental destruction, to gender justice and interfaith solidarity, spiritual renewal, an inclusive welcoming church and Christian unity. 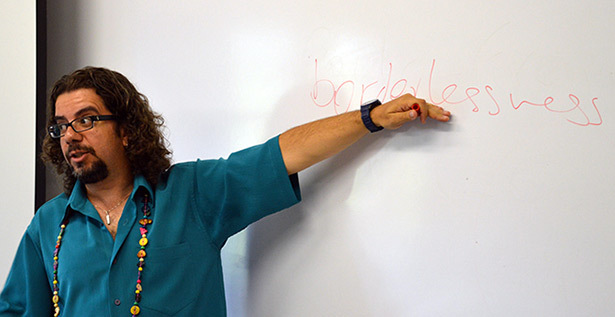 The Global Institute of Theology is intended for a) women and men students—50 from all continents—preparing for Christian ministry at a theological school related to a WCRC member church or b) fresh theological graduates preparing for higher theological studies or pastors in their first years of ministry; recommended by WCRC member churches. Applicants should have had a particular interest in ecumenical theology and mission. The student body and faculty reflected gender and regional balance, and thus the diversity of the Reformed family in the world today. 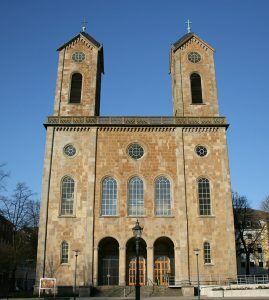 In Wuppertal they lived together in the residence at the Kirchliche Hochschule (on the Holy Mountain, as it popularly known). In Leipzig it was in a hotel.